The toothbrush tumbler by Södahl is part of the Touch collection from the Danish manufacturer. The series with accessories for the bathroom features a simple design and precious metal details in silver or brass. 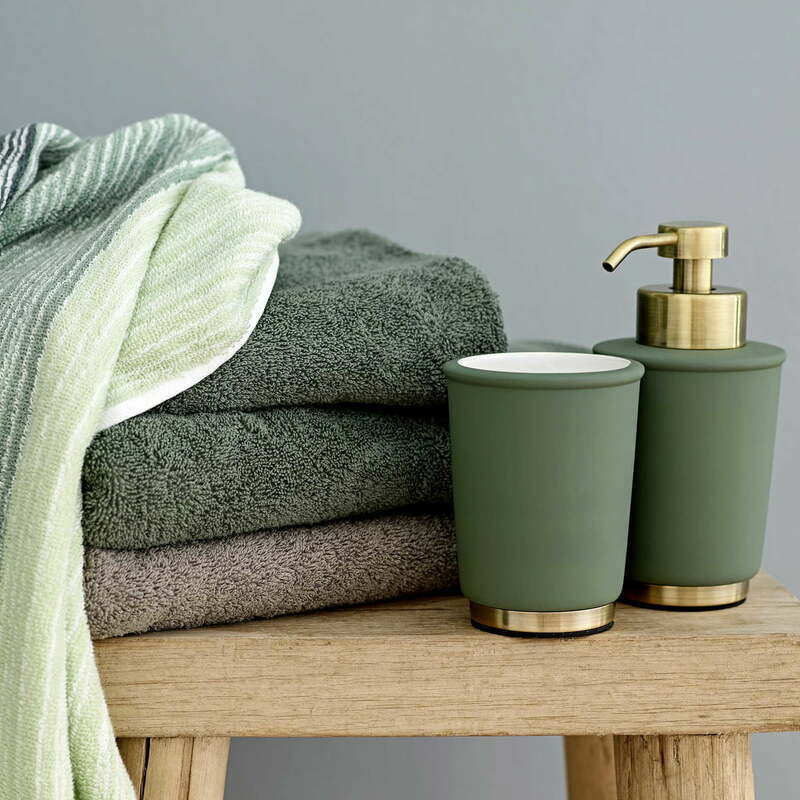 In addition to the bathroom tumbler there is a soap dispenser, toilet brush and waste bin available in the same design as part of the Touch collection so that all bathroom accessories can be matched in colour. The toothbrush holder is made from stoneware and coated with a matt rubber coating. The metal bottom sets contrasts and gives an elegant look to the bathroom accessory. 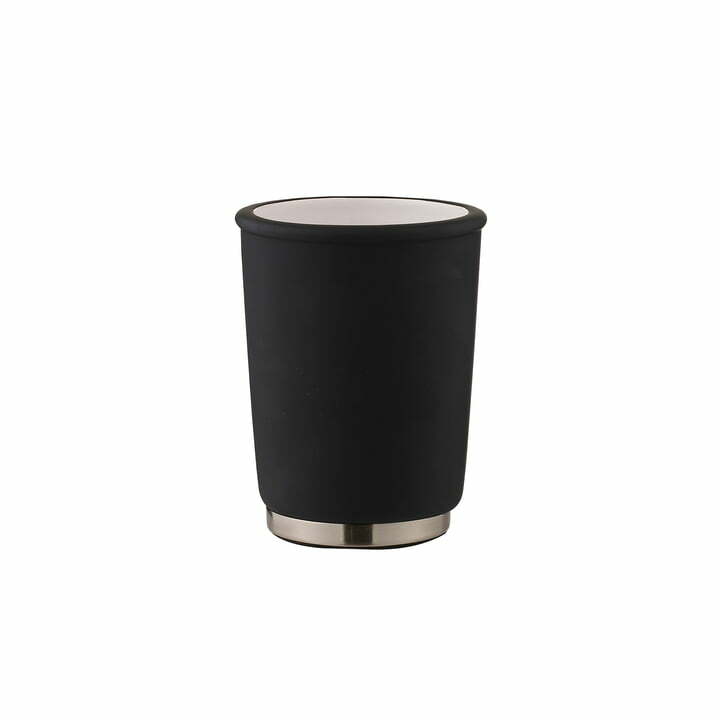 Individual image of the Touch Toothbrush Tumbler by Södahl in black. The toothbrush holder is made from stoneware and coated with a matt rubber coating.